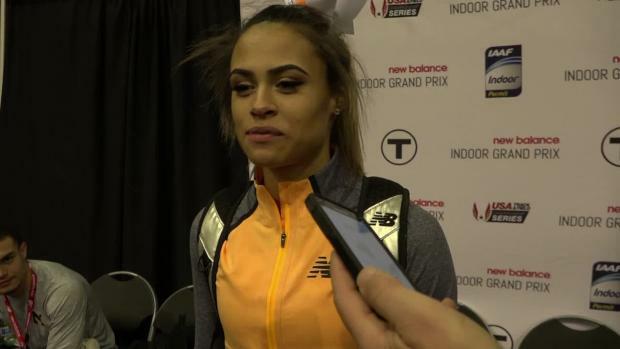 Sydney McLaughlin talks to the press after helping Team USA break the world indoor record in the distance medley relay with a time of 10:40.31. 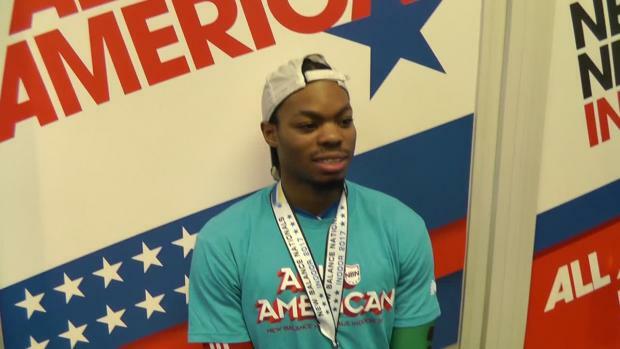 The teenage Olympian split 52.32 on the 400m leg. 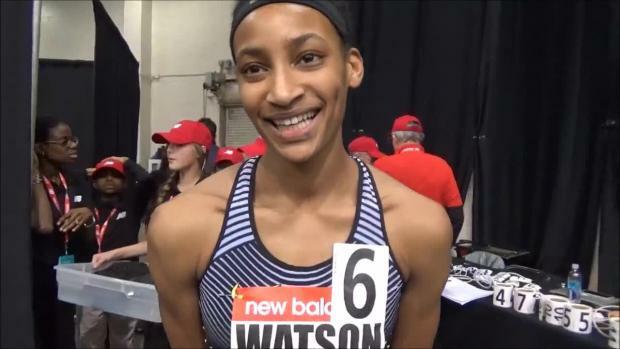 She is committed to compete at the University of Kentucky, but reveals that she is thinking about turning pro. La Salle's Principe leads the field of 11 runners. 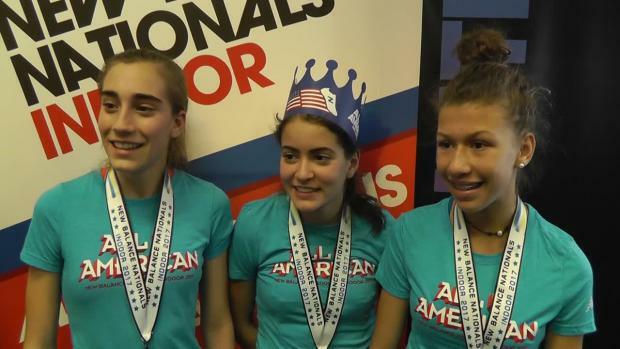 If you haven't heard as of yet, NJ's very own Olympian Sydney McLaughlin has been added to a DMR team attempting to take down a world record. Ten runners will toes the line on Saturday. We also have video of Jones' state record breaking vault. 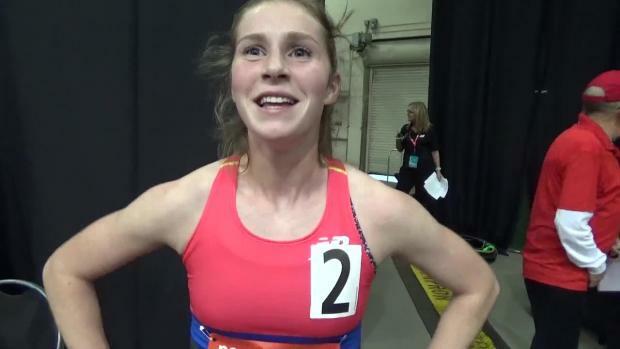 Olympic bronze medalist Emma Coburn started the women's DMR at the New Balance Indoor Grand Prix in Boston and it was another Olympic bronze medalist, Jenny Simpson, who anchored the team to a new world record time of 10:40.31. 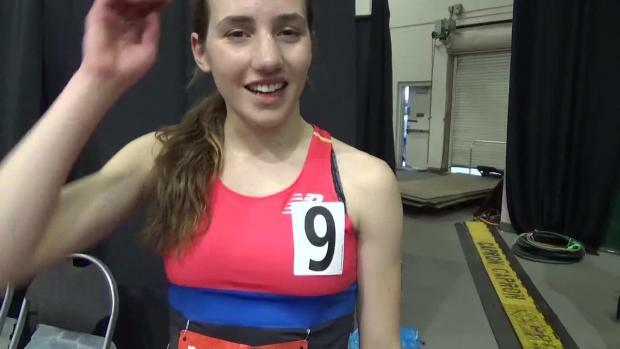 Simpson, an Oviedo High School alumni, ran the 1,600m leg in 4:27.66 to help the quartet break the previous record of 10:42.57, set in 2015. 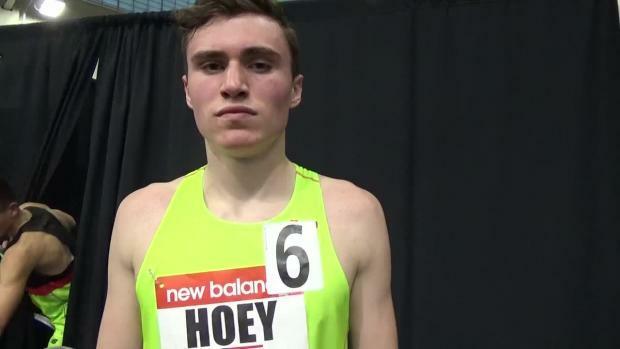 There was talk the La Salle Academy senior would compete in the professional mile for another crack at a sub four-minute mile. 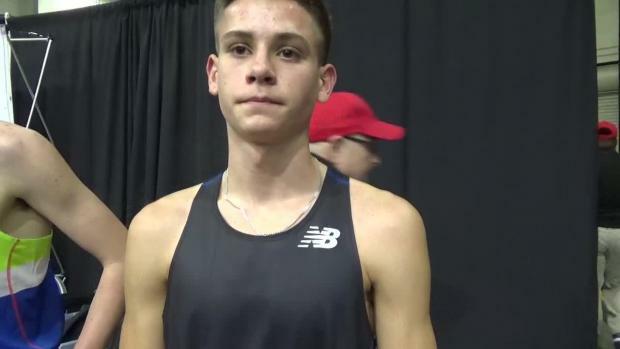 Connor Lane and Nevada Mareno are set to attend the Historic New Balance Indoor Grand Prix in Boston, Massachusetts where both could set a North Carolina Mile State Record! 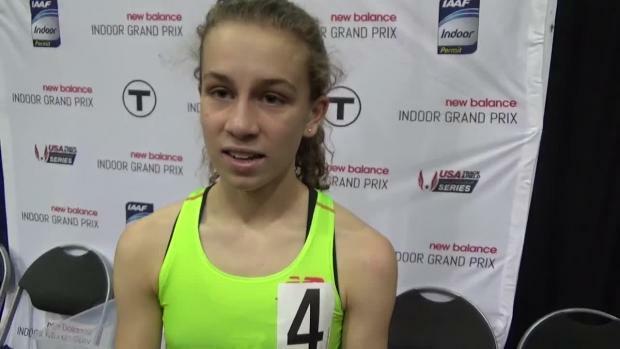 Both claim Junior Mile titles on Saturday. 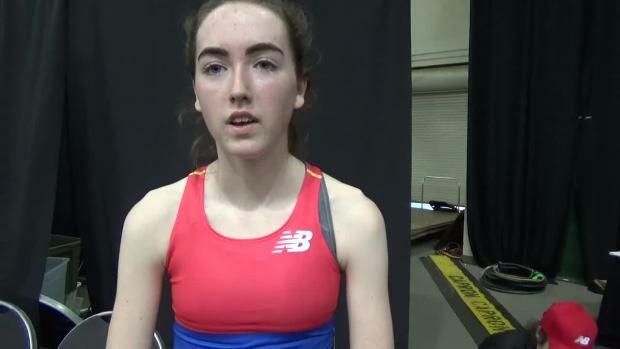 Two of Connecticut's finest competed in the New Balance Indoor Grand Prix at the Reggie Lewis Track in Boston.